The US Copyright Group (USCG) campaign to turn piracy into profit is starting to fall apart. Today, the anti-piracy lawyers dropped 97% of the alleged BitTorrent file-sharers from the Far Cry case because of a lack of jurisdiction. This setback seriously limits the profitability of the law firm's business model, and is a clear victory for thousands of people who were pressured to pay expensive settlements. Since the beginning of this year the United States Copyright Group (USCG) has sued tens of thousands of BitTorrent users who allegedly shared films without the consent of copyright holders. 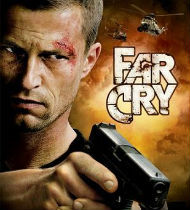 One of the copyright holders who teamed up with USCG are Achte/Neunte, the makers of the movie Far Cry. This case originally had 4,577 defendants, all of whom were accused of distributing the film via BitTorrent. However, three weeks ago District Court Judge Rosemary Collyer ordered USCG to limit their case only to those defendants who the Court has jurisdiction over, and in an amended complaint filed today the anti-piracy lawyers have done just that. Of the thousands of defendants, only 140 remain in the latest complaint. The remaining 4,437 were dropped from the case without prejudice. The new complaint specifically states that the remaining defendants reside in the District of Columbia, where the case was filed. “The named Defendant resides in this District. Although the true identity of each remaining Doe Defendant is unknown to the Plaintiff at this time, on information and belief, each remaining Doe Defendant may be found in this District and/or a substantial part of the acts of infringement complained of herein occurred in this District,” the lawyers write. These recent developments are welcome news to the thousands of people who have been pressured to pay thousands of dollars in settlements over the past months, including those in the Hurt Locker case. As it now stands, all people being chased by USCG outside of the Court’s jurisdiction can have their case dropped. “This is certainly a reassuring decision for file sharing defendants in parallel cases around the country although they remain vulnerable to file sharing suits brought in their home states,” Stewart Kellar, a California attorney representing several defendants in the Far Cry Case, told TorrentFreak in a comment. It has to be noted, however, that the cases have been dropped without prejudice, which effectively means that USCG can file suit against defendants again at a later stage if they so choose. That said, having to file cases in dozens of states will significantly increase the workload for USCG’s lawyers, not to mention escalating costs. The question now is whether or not the scheme will remain financially viable. Right now there is little doubt that what first seemed to be a relatively effective and profitable way to turn piracy into a healthy revenue stream, is rapidly turning into a nightmare for the anti-piracy lawyers and their partners.